You begin the practice of witchcraft by taking responsibility for your life and everything in it. This is part of coming into your power, and you must accustom yourself to the idea that everything in your life is there because YOU chose it. 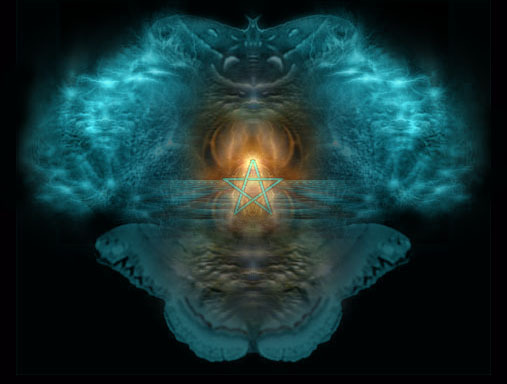 When performing witchcraft, it is essential that you are aware of your inner state. If you begin to become distracted and drift "off-centre", you must stop and take time to centre and connect body and mind by focusing your energy with meditation and breathing techniques. It is extremely important to eliminate any negative energy in your life before working with witchcraft. An easy program that will cleanse your energy begins with a three-day fast(seek your physician's approval first). Bathing is also good for removing negativity: Take a ritual bath by candlelight while burning incense of sandalwood in the room. You can also cast a protective circle, concentrating on breathing in radiant white light and breathing out tension for at least 30 breaths. Before you proceed with any ritual, you must forgive yourself and others for any errors comitted in the past. This is known as "Clearing the path", making way for positivity in your life. Any negative emotion must be cleansed so that the potency of your spellcasting power isn't lessened. Ritual baths and aura-cleansing exercises will help to clear the path to your new, abundant life, as will positive affirmations and divine intention. Ideally, eat plenty of organically-grown fruits and vegetables, whole grain, nuts. seeds and legumes. Changing bad eating habits will nourish you physically and emotionally, and will greatly expand your power. Taking shallow breaths, pollution and cigarette smoking all starve the body and brain of oxygen. A few minutes of deep breathing each day will expand your lungs and enliven every cell in your body. Even 15 minutes of exercise a day is beneficial. Vigorous aerobi exercise will benefit the lungs and cardiovascular system, while yoga and gentle strecting are excellent for glands, joints and relaxation purposes. A daily dose of sunlight also helps the body to create important vitamins. Maintaining a regular sleeping pattern will lead to a more relaxed body and a more harmonious outlook on life, both of which are essential for the effective practice of witchcraft. Creating and taking time to maintain loving relationships is a necessary requirement for good health. Try to avoid becoming angry and fustrated with others, and remember that we all choose our own paths for different reasons. Your understanding of the language of ritual will come from many sources (teachers, books, experience, ect..), and you must remain open to expanding your knowledge at all times. As well as always being able to define your purpose before performing any ritual, it is extremely important that you trust your intuition and have faith in your ability as a witch.